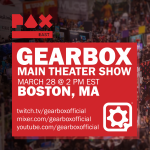 Join us on Thursday, March 28th at 2pm EDT for the PAX East 2019 Gearbox Main Theater Show! Not able to make it? 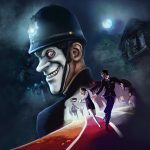 We will be live streaming the even on Twitch, YouTube, and Mixer!